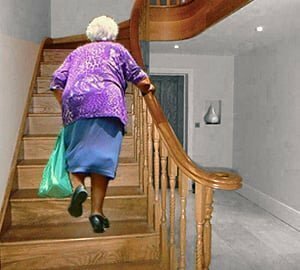 Going upstairs requires almost 10 times more energy than sitting down doing nothing. Because you have to pull against gravity, it demands greater effort, so you get more of a workout. The activity is great for your body, increasing bone density, strength, lung capacity and muscle tone. This is particularly beneficial for women in sedentary jobs, who are most at risk of developing osteoporosis. Even fit, sporty people will find it a useful way to maintain and increase fitness levels, as the effort of climbing stairs uses around twice as much energy as walking up a steep slope or lifting weights. And it's a great way of encouraging children to become more active, especially if you can make a game out of it. By raising your heart rate, stair climbing helps prevent blocked arteries and high blood pressure, decreasing the risk of succumbing to serious conditions such as heart disease, diabetes and vascular dementia. In fact, going upstairs briskly uses about the same amount of energy as vigorous swimming - more than almost any other form of cardio exercise. It will increase your lung capacity and general stamina while reducing stress, helping to ease the strain on your heart. Stair climbing can be viewed as a more powerful, intense type of walking. This surprisingly demanding form of exercise actually burns more calories per minute than jogging - and the good news is that the heavier you are, the more calories you will expend. Small changes in your daily routine, such as taking the stairs up to your office instead of the lift, will speed up your metabolism and help get rid of excess flab. Even when you go upstairs at a normal pace, you will use at least double the amount of energy than if you were walking briskly on level ground, so you may soon find your waistline shrinking if you use the stairs regularly. Your legs and hips will also become more toned. Going up stairs will also boost your mental state, as the physical exertion releases pain-killing endorphins – the feel-good hormones that help to relieve tension and lift the spirits. The regular exercise will raise your energy levels, making you feel generally better about the world. And as well as all the physical benefits, the sense of achievement as you lose weight, shape up and find you are able to conquer more and more steps will do wonders for your confidence and sense of well-being. This in turn should help to relieve stress and lower blood pressure. Unlike going to the gym, climbing stairs is easy to fit into a busy lifestyle, actually saving you time instead of eating into it. You can begin with just one or two flights if you like, and increase gradually. Walking up elevators is also useful. As the steps are considerably deeper than those of a normal staircase, it will still provide valuable exercise. 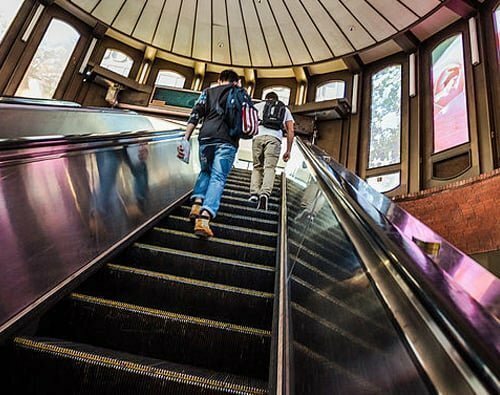 Even if you’re a busy commuter, you can make the most of staircases in public places such as train and tube stations, office buildings, shopping centres and multi-storey car parks. Walk up elevators too. Moreover, unless you live in a bungalow or ground-floor flat you will also be able to practise in the comfort of your own home. Of course, climbing a single staircase isn't going to transform you into a toned Adonis overnight. But as this is such a powerful exercise, you should start to feel fitter and stronger within a week or two. Because stair climbing is relatively easy to build into your life, you will probably be able to incorporate it into your daily routine without too many problems. Regular exercise can make a real difference to people’s long term health, so finding an activity that you are able to sustain over the years will be invaluable for your fitness levels. What's more, it's not dependent on the weather. It doesn't matter if you're not a sporty type, nor do you have to be a fresh-air fiend to enjoy climbing stairs. No special skill, sporting ability or training is required – and you won’t have to share a sweaty changing room with strangers. Best of all, you don’t have to wear Lycra! Another great bonus is that it’s free. No sports club fees or gym subscription, no equipment or special clothing to buy…it’s just you, and as many steps as you feel able to tackle. 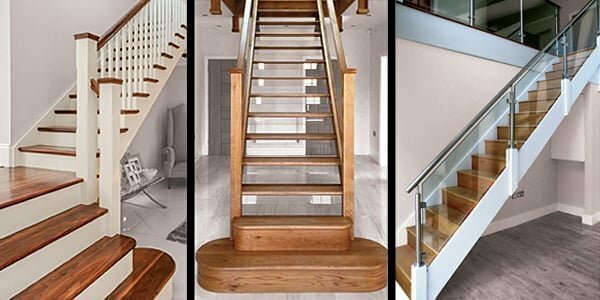 Are some stairs more suitable than others? Any long flight of stairs provides the opportunity for a good workout, although some are better than others. 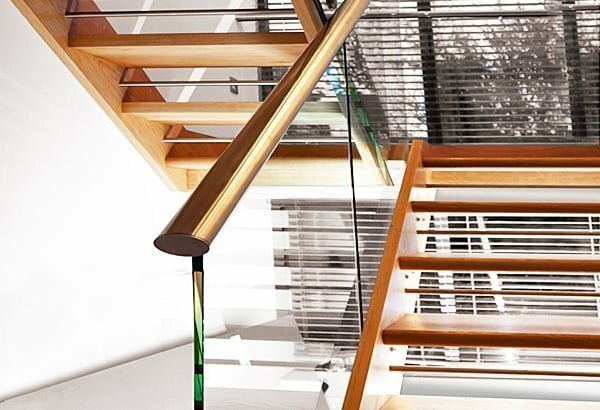 Wooden stairs such as oak stairs and pine stairs are more comfortable to use than metal or concrete ones as their treads are better at absorbing shock, and carpeted stairs are better still. 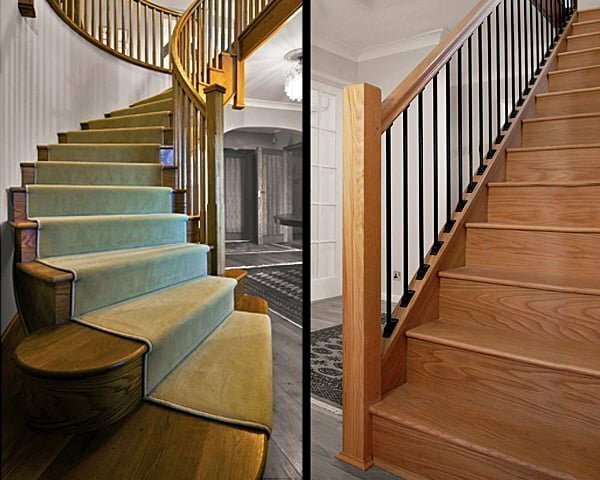 Curved staircases are just as good as straight ones for your fitness regime. Even loft stairs and space saver staircases have their uses, as long as you’re careful. 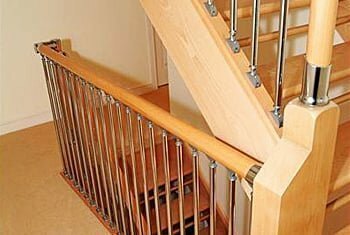 Always keep hold of the banister rail on these types of staircases, especially when descending, as they can be quite steep. 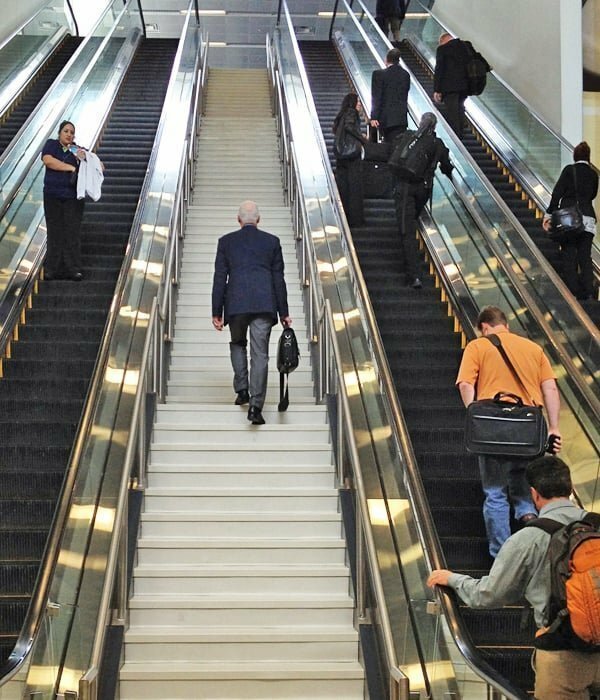 If you have to use an escalator rather than stairs, for example on your way to work or in the shopping centre, walk all the way up it rather than just standing there. You can burn off some extra calories. According to research carried out at Roehampton University, London, if you're aiming to lose weight the best technique is to climb the stairs using one step per stride, rather than two steps. The study found that ascending a 15m staircase - around 100 steps - five times a day will burn up, on average, 302 calories a week when treading on every step, as opposed to 266 calories using alternate steps. This may be because it is more time-consuming to climb a staircase one step at a time, so you are expending energy over a longer period. 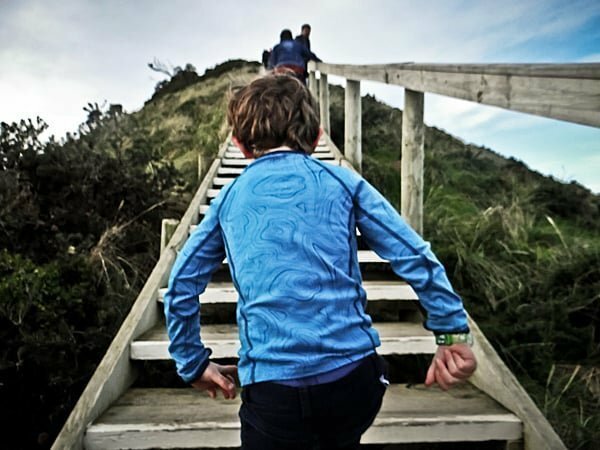 Aim for between three and five stair-climbing sessions a week to get the most from your new exercise regime. Wear comfortable shoes with thick soles, and do a bit of bending and stretching to warm up your calf muscles beforehand. You can run up the stairs if the mood takes you, but don't run down as this puts much more strain on the joints, as well as increasing the risk of a fall. We recommend beginning slowly, perhaps just climbing for five or 10 minutes at first if you're not accustomed to regular exercise. Your legs will soon start to feel the benefits. Over the next few weeks or months, depending on initial fitness levels, you can build up to longer sessions. People with knee, hip or ankle problems are not advised to climb stairs unnecessarily as the stepping action can aggravate their condition. This is especially true when going downstairs, as the joints come under extra strain. Likewise, extra stair-climbing is not recommended for anyone with a heart condition. If you have any particular health concerns, consult your doctor before deciding whether to go ahead.